Also serving communities of Russellville. The average cost of assisted living in Bowling Green is $2,867 per month. This is lower than the national median of $3,346. To help you with your search, browse the 29 reviews below for assisted living facilities in Bowling Green. On average, consumers rate assisted living in Bowling Green 4.0 out of 5 stars. Better rated regions include Lafayette with an average rating of 5.0 out of 5 stars. Bowling Green, Ky., is the birthplace of Duncan Hines and the home of the Corvette and Mammoth Cave National Park. Seniors looking for social activities outside of their assisted living community will find many fun things to do in Bowling Green, from the racetrack to the arboretum. There are six assisted living facilities in the Bowling Green area to help residents with all aspects of their day-to-day lives, such as eating and bathing and recreation. With an average annual temperature of 58 degrees Fahrenheit, the weather in the Bowling Green area is usually mild. The average summer high temperature of 89 degrees and average low winter temperature of 26 degrees show the weather in Bowling Green rarely ventures into the extremes. The cost of living in Bowling Green is 8 percent lower than the national average, making it a relatively affordable place to live. The only higher expense is utilities, which run 4 percent higher than the national average. The violent crime rate in Bowling Green, at 3.54 per 1,000 residents, is higher than the rate in most U.S. communities of all population sizes. The rate for property crime is 44.92 per 1,000 residents, compared with the state rate of 21.9. The Bowling Green area is home to world-class medical facilities, including the TriStar Greenview Regional Hospital and The Medical Center, in the event of medical emergencies or illness. Bowling Green is a member of the AARP Network of Age-Friendly Communities, meaning that its elected leadership “has made the commitment to actively work toward making their town, city or county a great place for people of all ages,” according to AARP. Bowling Green has an array of community resources for seniors, including the Warren County Senior Center, an organization that encourages seniors to socialize, exercise and engage in a variety of programs, as well as two other senior centers. Assisted Living costs in Bowling Green start around $2,867 per month on average, while the nationwide average cost of assisted living is $4,000 per month, according to the latest figures from Genworth’s Cost of Care Survey. No programs assist with the cost of assisted living in the state of Kentucky. 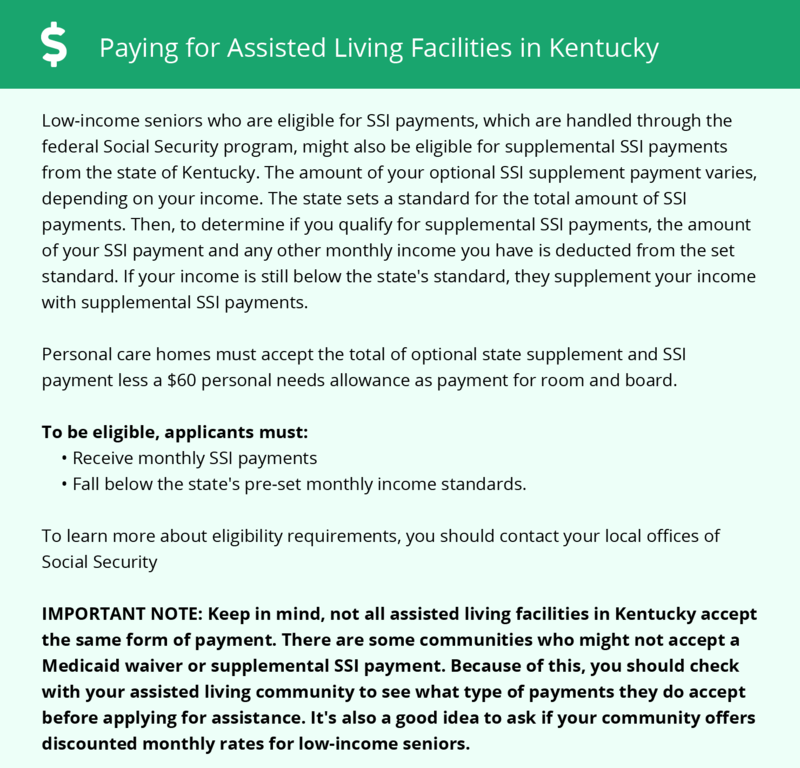 The Kentucky Department for Aging and Independent Living (DAIL) states that due to the way that assisted living communities function in the state, Medicaid is not an appropriate program to fund them. To see a list of free assisted living resources in Bowling Green, please visit our Assisted Living in Kentucky page. Bowling Green-area assisted living communities must adhere to the comprehensive set of state laws and regulations that all assisted living communities in Kentucky are required to follow. Visit our Assisted Living in Kentucky page for more information about these laws.